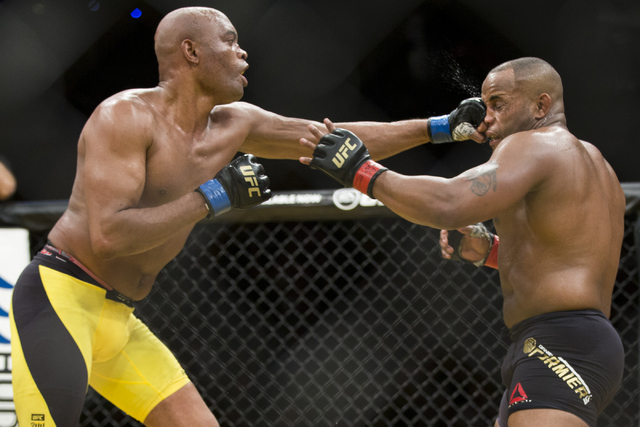 Amanda Nunes won the women’s bantamweight title with a first-round knockout of Miesha Tate in the headlining bout of UFC 200 on Saturday at T-Mobile Arena. 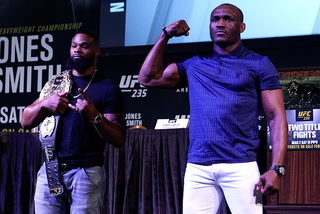 After a Ronda Rousey title reign that seemed as if it might never end, the rest of the UFC women’s bantamweight division appears to be playing an old-fashioned game of hot potato with the belt. 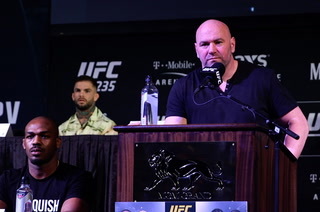 Amanda Nunes of Brazil became the next in the line of succession Saturday night with a first-round knockout of Miesha Tate in the headlining bout of UFC 200 at T-Mobile Arena, the organization’s first event in the building. 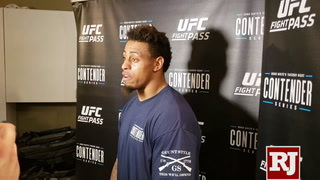 “Miesha is a tough opponent,” Nunes said. 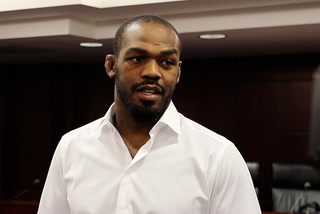 “Everybody knows that, but I’m the new champion. 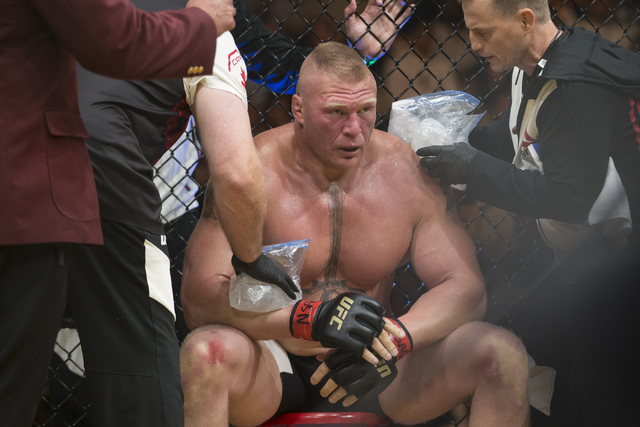 Holly Holm knocked out Rousey, previously the only champion in the division’s history, to take the belt in November. 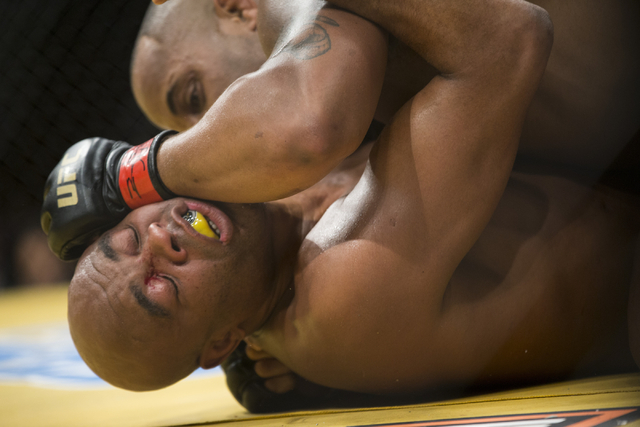 Holm was submitted by Tate in her first title defense in March. 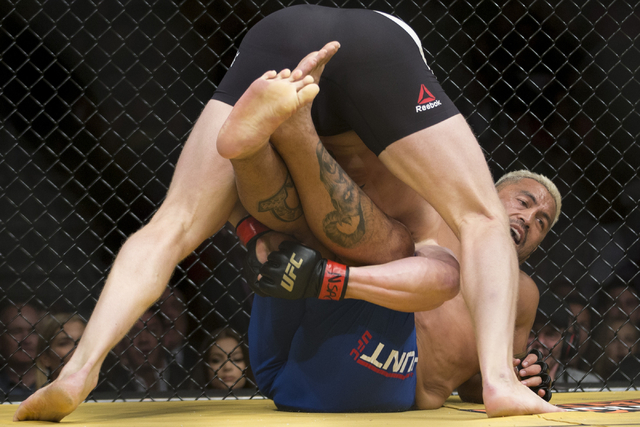 Nunes blasted Tate with right hands to drop her to the mat, then locked in a rear naked choke to force the submission at 3:16 of the first round. 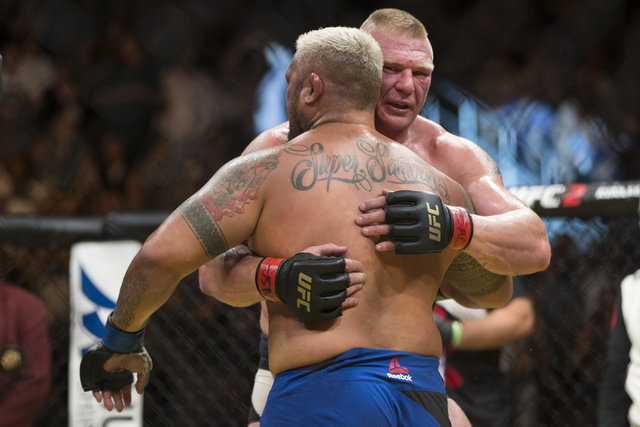 Despite more than four years away from the sport, former heavyweight champion Brock Lesnar showed flashes of his old self in winning a unanimous decision over Mark Hunt. 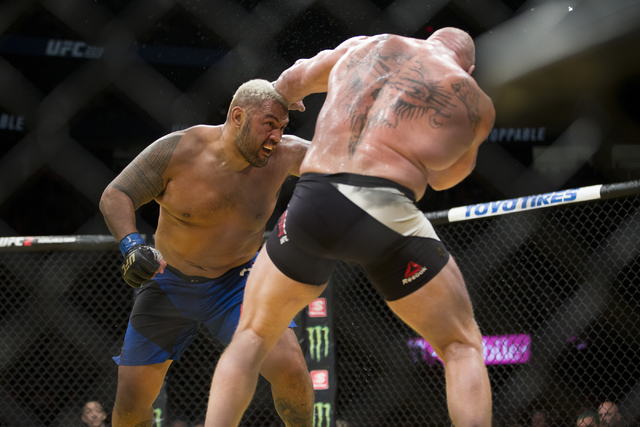 Lesnar bullied Hunt to the ground in the first and third rounds and made him pay once he got him there. 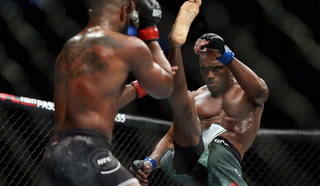 Particularly in the third round, the professional wrestling superstar and former NCAA champion inflicted damage with brute force as he landed short punches to gain his first win since July 2010. 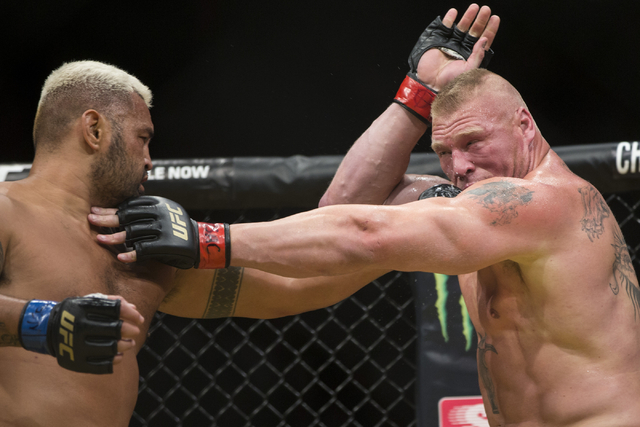 Lesnar was unsure if he would be returning for one fight or to try to make another run at a title, and he wasn’t ready to discuss his future. 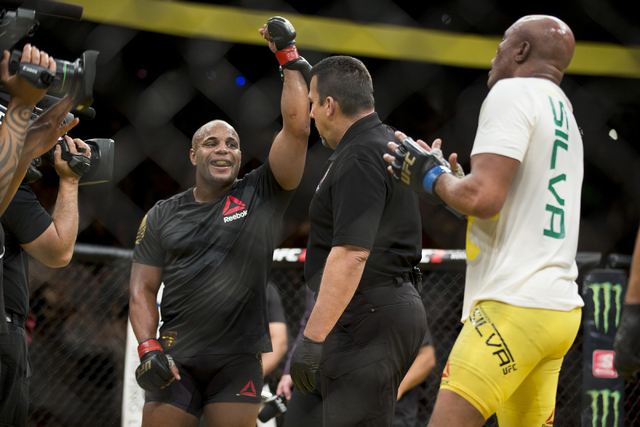 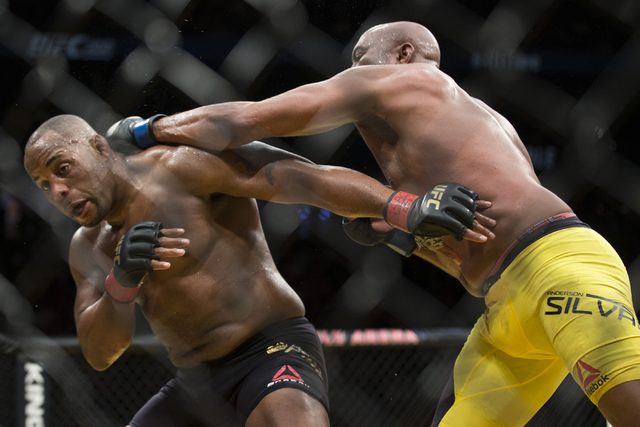 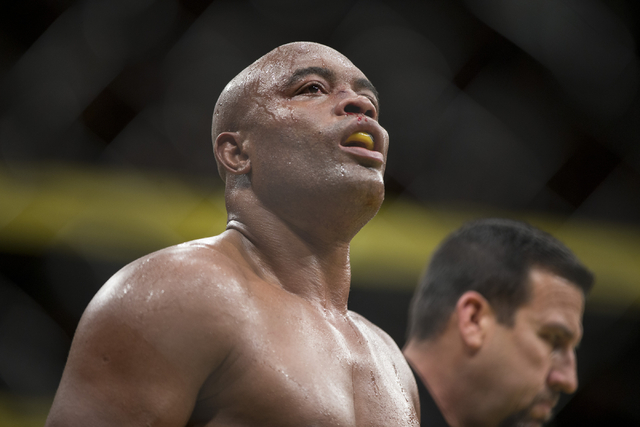 Light heavyweight champion Daniel Cormier put late replacement Anderson Silva on his back in all three rounds and cruised to a unanimous decision in a nontitle bout. 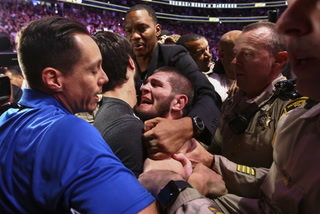 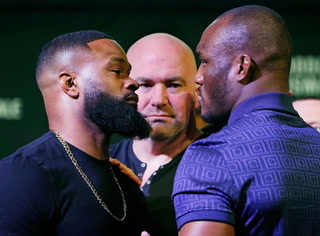 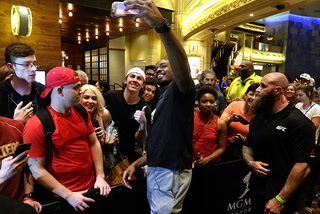 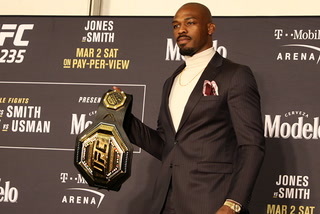 Silva accepted the fight Thursday after Jon Jones was pulled from the card after he was flagged for a potential violation of the organization’s anti-doping policy. 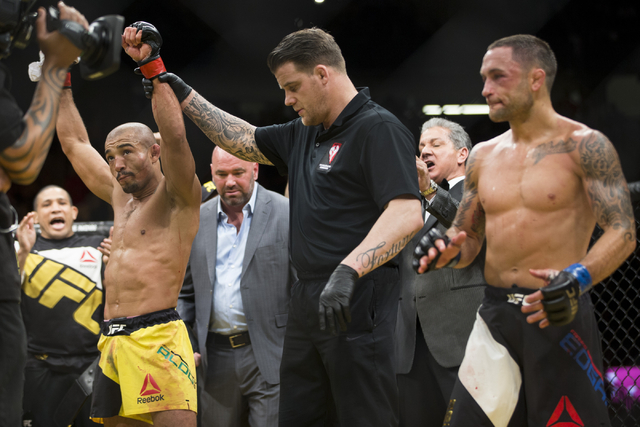 On the few occasions the two exchanged on their feet, Silva was able to find moments of success. 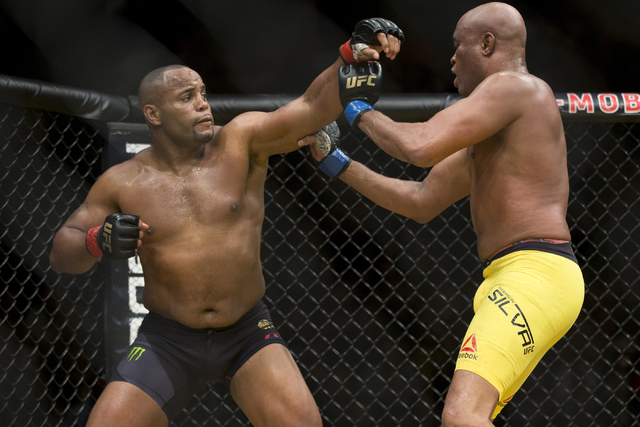 Cormier, however, wisely ignored the pleas of the crowd to brawl with one of the best strikers in UFC history and repeatedly planted Silva on his back to win all three rounds on all three cards. 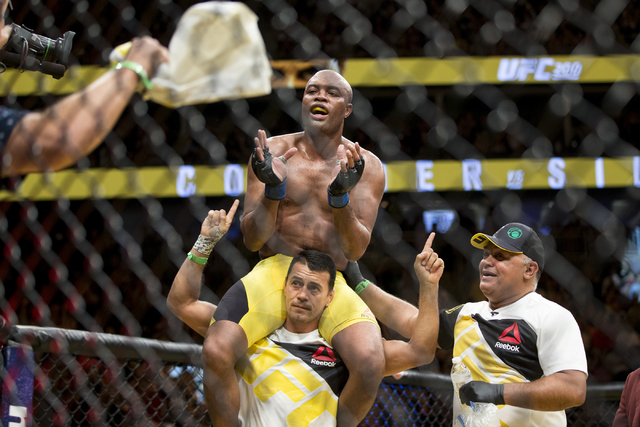 Silva, the longtime middleweight champion, was honored to fill in for his friend on a historic card. 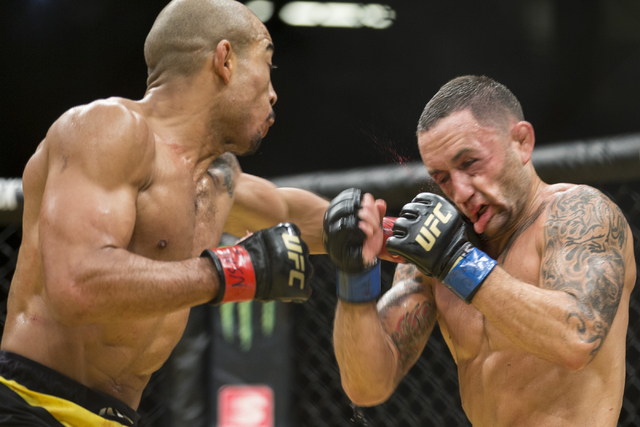 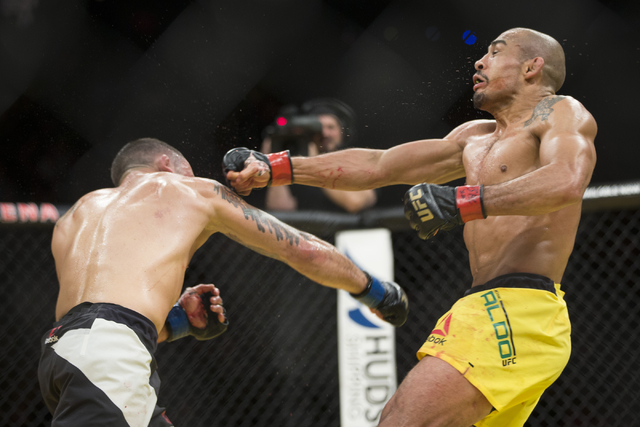 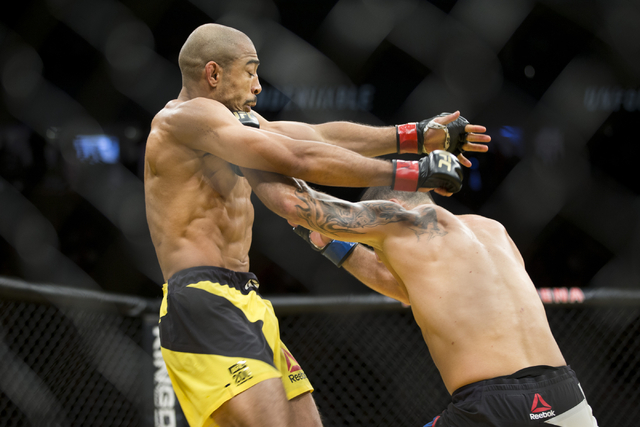 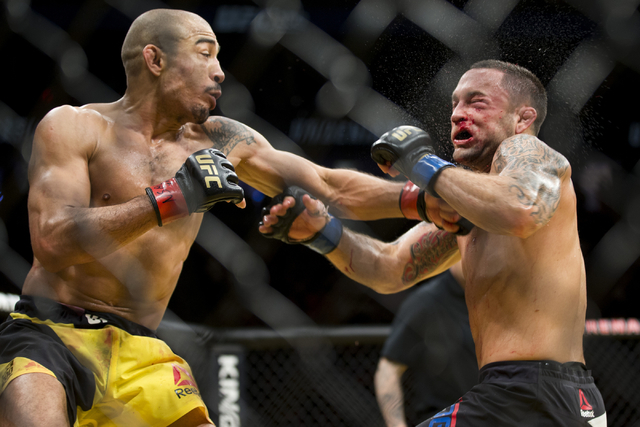 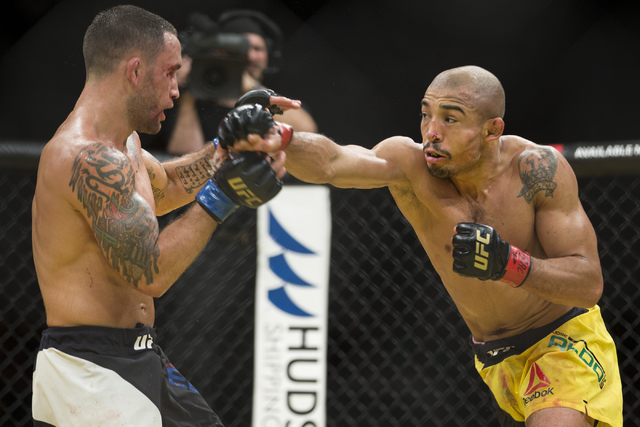 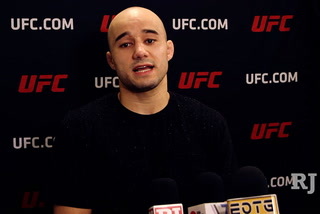 More than three years after their first meeting, Jose Aldo scored a similar unanimous victory over Frankie Edgar to capture the interim featherweight title. 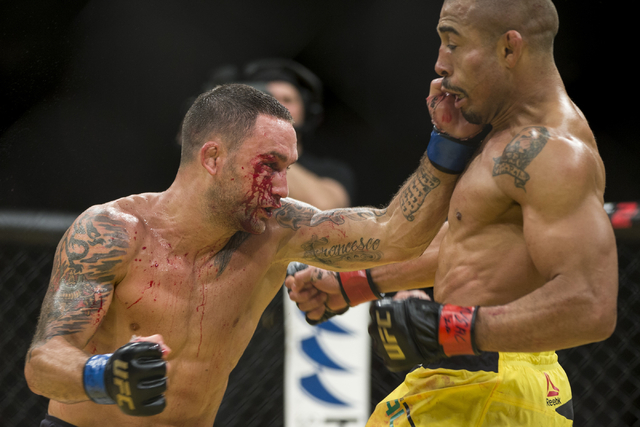 In fact, the scorecards were exactly the same. 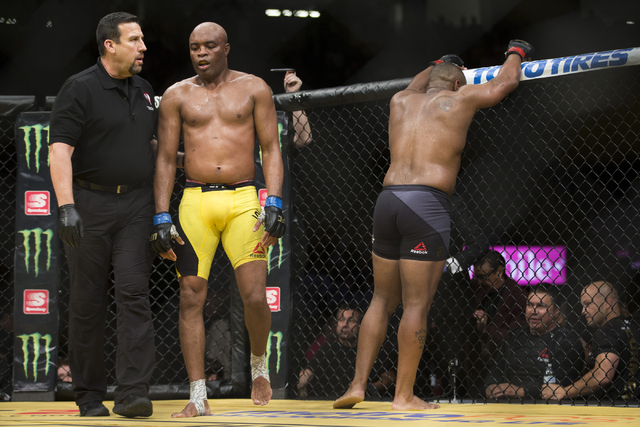 Two judges had it 49-46, while the third had it 48-47, just as in the February 2013 matchup. 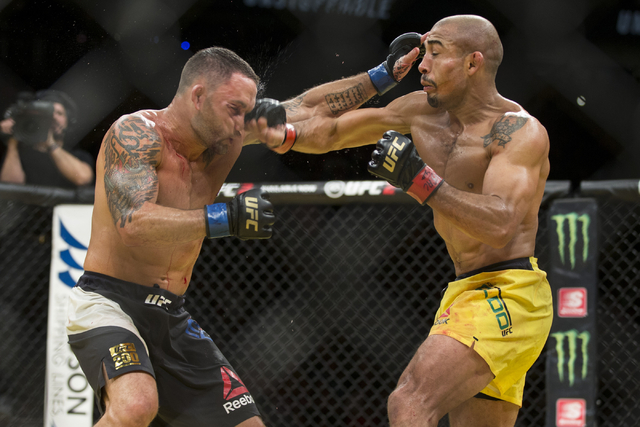 Aldo should now be in line for a rematch with Conor McGregor, who took the belt from him with a 13-second knockout in December. 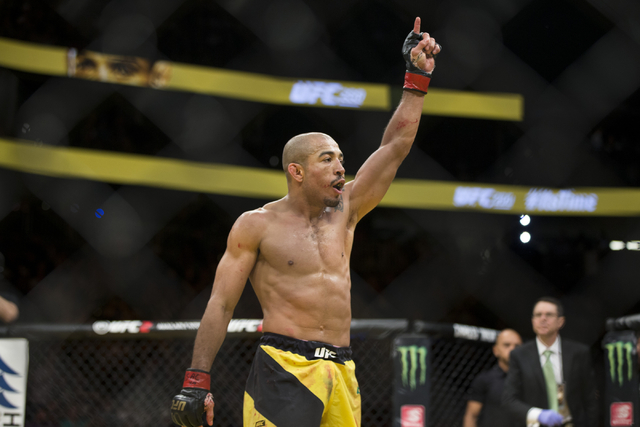 The interim belt was created because McGregor will take another fight at welterweight in August, but Aldo will be waiting for the champion’s return to 145 pounds. 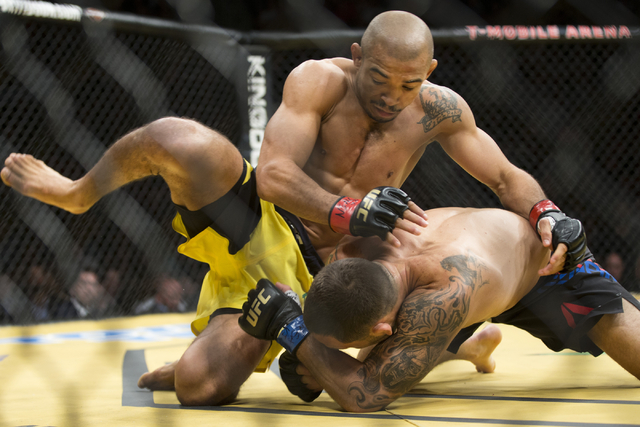 Aldo seized control by constantly shaking off Edgar’s takedown attempts and forcing Edgar to chase him around the cage. 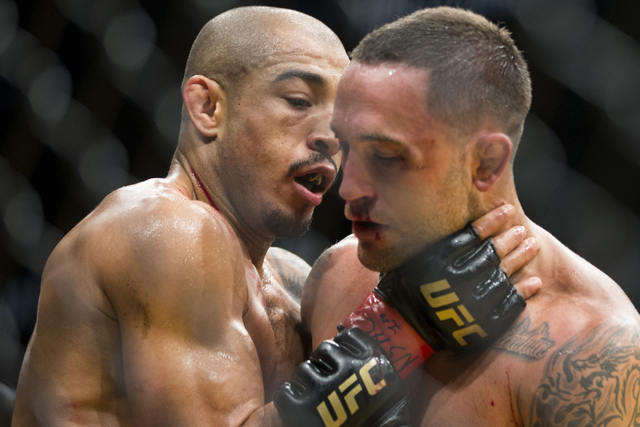 Once Edgar got close, Aldo would keep him at bay with a jab as he approached. 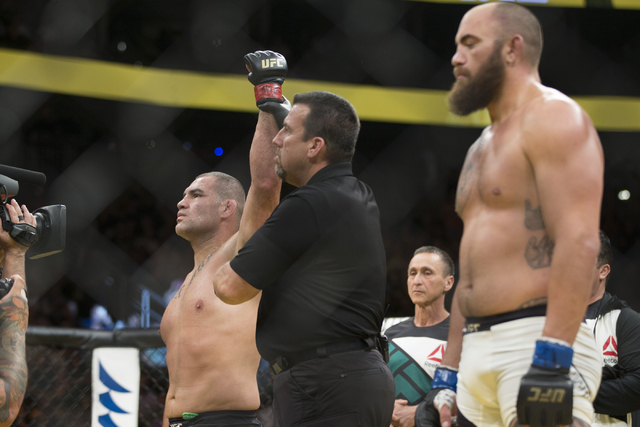 Former heavyweight champion Cain Velasquez also bounced back from losing his belt with a quick knockout of Travis Browne in the first fight of the main card. 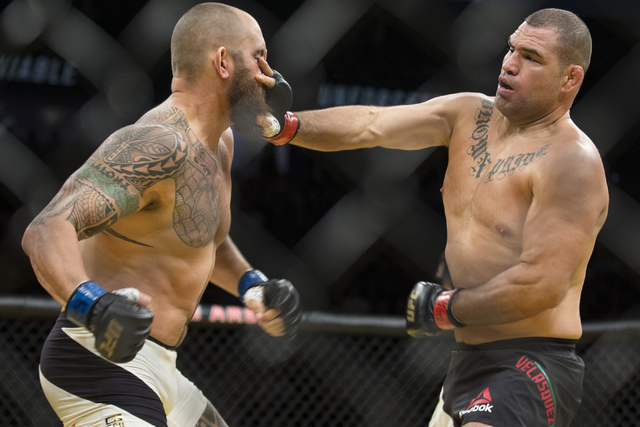 Velasquez battered Browne from the outset and continued the barrage until the referee stepped in to save him with three seconds remaining in the first round. 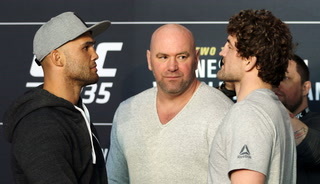 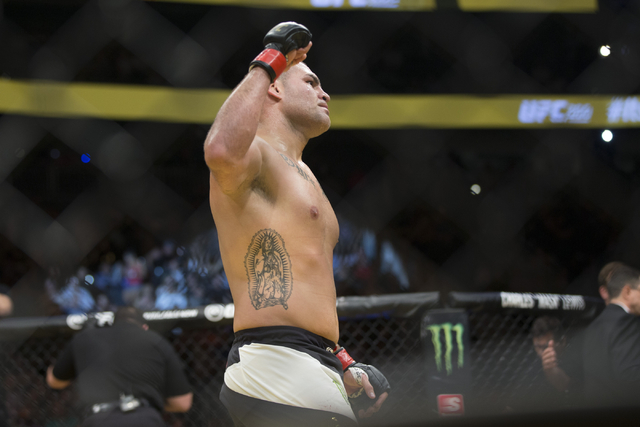 The outstanding performance wasn’t enough to satisfy Velasquez, who has been out of action since losing the belt to Fabricio Werdum in June 2015. 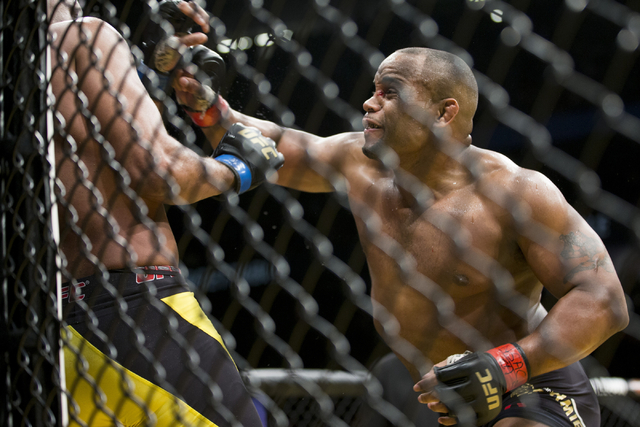 Stipe Miocic will defend the title he won from Werdum against Alistair Overeem in September. 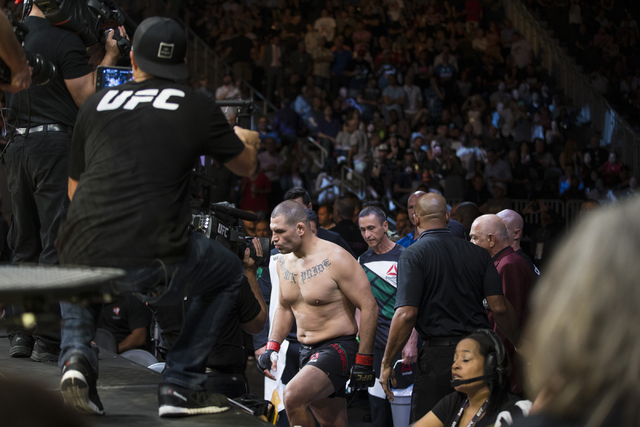 Velasquez hopes he did enough to be next in line. 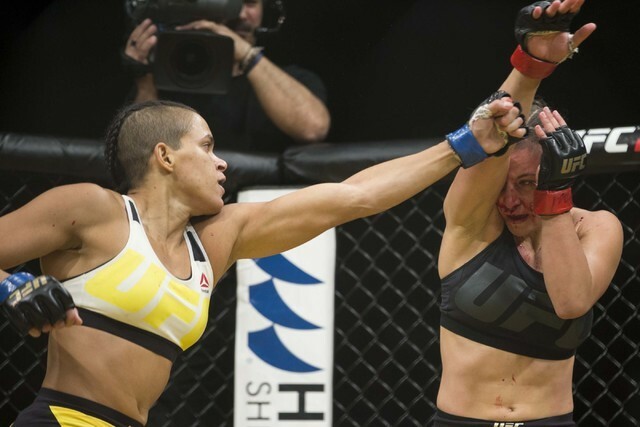 • Amanda Nunes def. 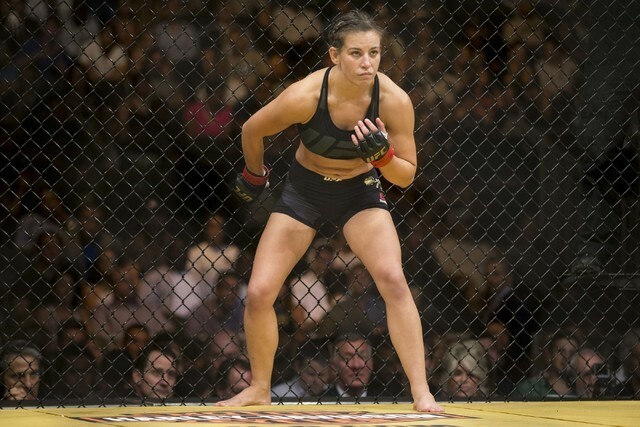 Miesha Tate, submission, Round 1, 3:16. 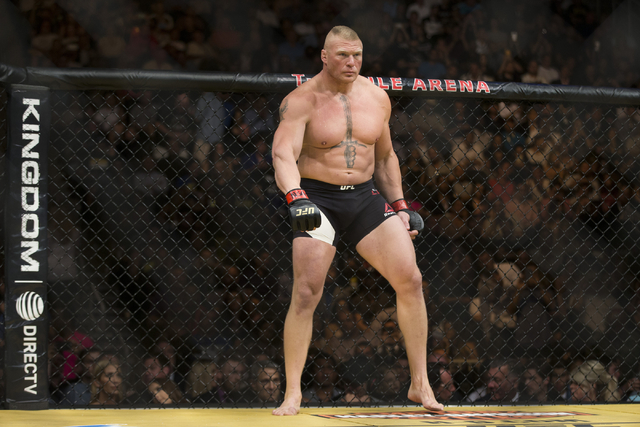 • Brock Lesnar def. 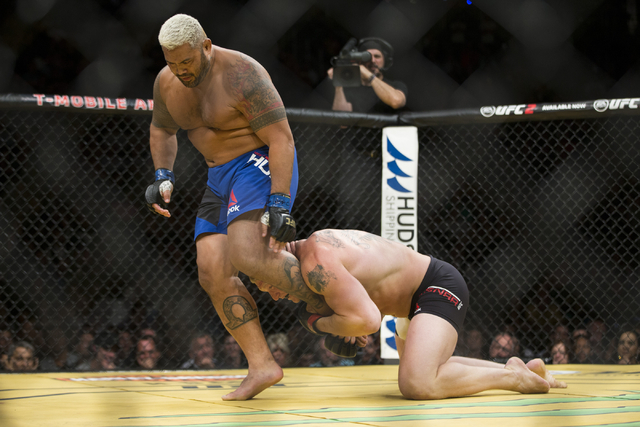 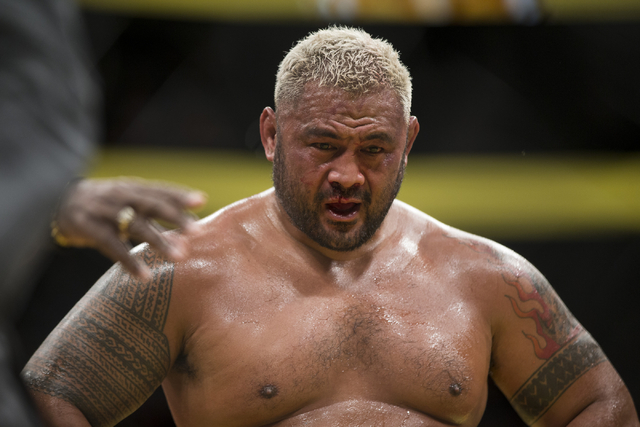 Mark Hunt, unanimous decision. 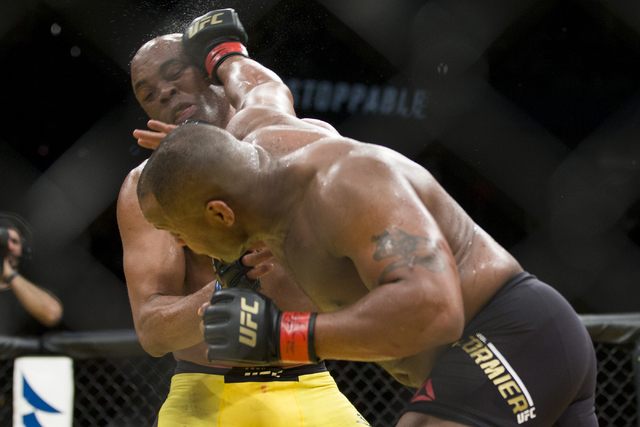 • Daniel Cormier def. 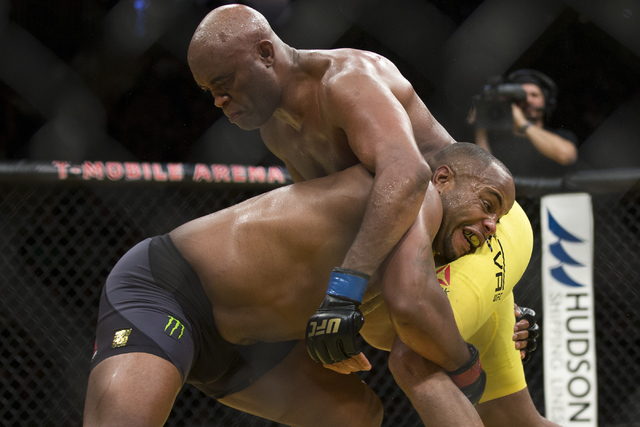 Anderson Silva, unanimous decision. 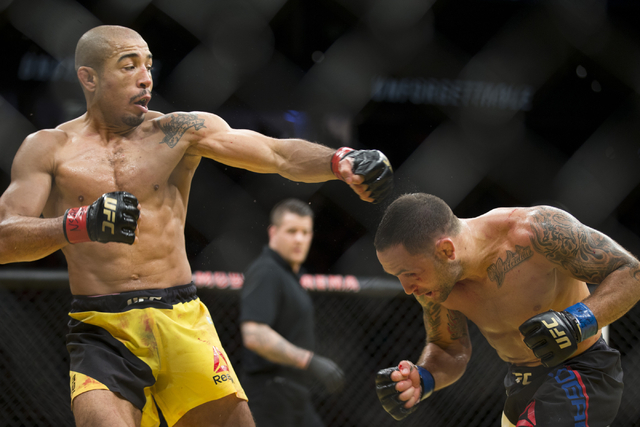 • Jose Aldo def. 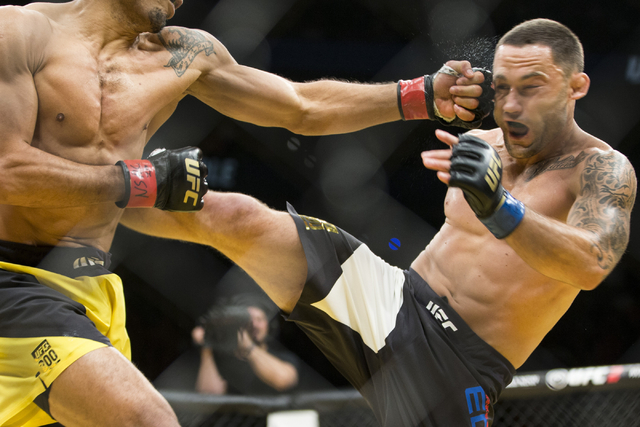 Frankie Edgar, unanimous decision. 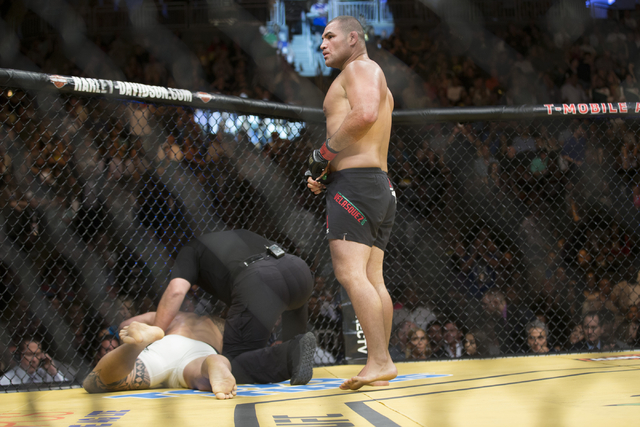 • Cain Velasquez def. 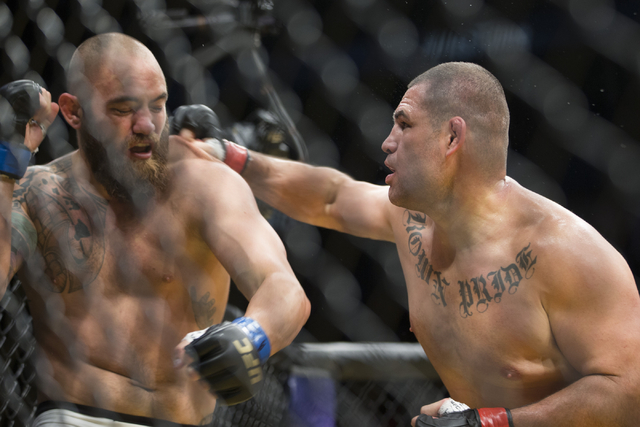 Travis Browne, TKO, Round 1, 4:57.